Slate Weather Station, combo clock / thermometer helps you keep track of the time and the temperature at the same time! This clock / weather station is made of slate and weather resistant, perfect for indoors or outdoor use. 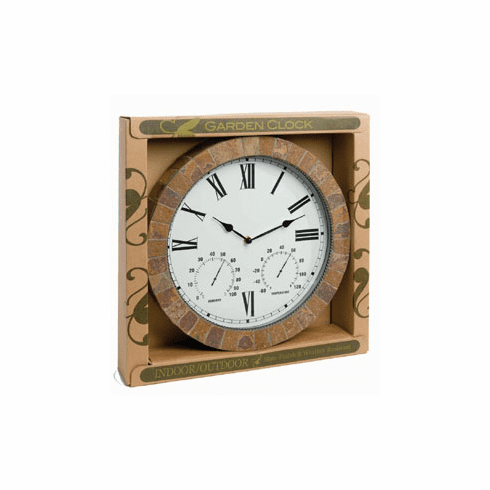 Clock / thermometer como is gift boxed and measures 15" dia.